Aerial Silks Tricot with Shine Kit comes with the equipment needed for aerial dancing. It includes fabric and hardware assembled, what you need for aerial silks (Rescue 8 Swivel, 2 Modified D Caraibiners), also includes powdered rosin to improve grip. Aerial Silks Tricot with Shine Kit comes with the equipment needed for aerial dancing. 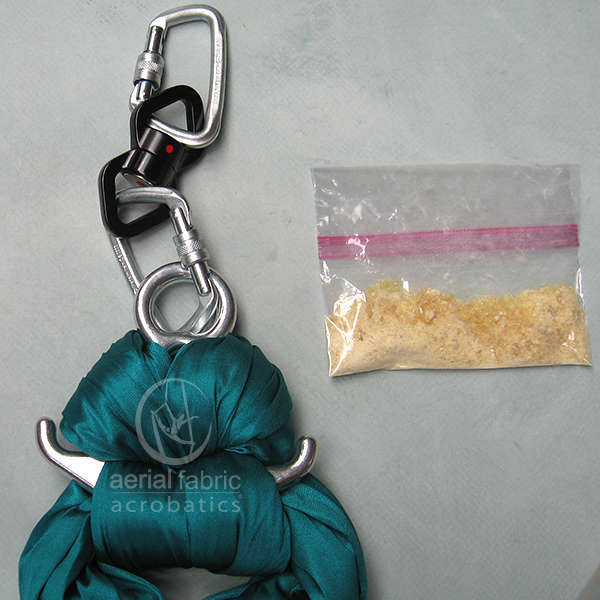 It includes fabric and hardware assembled, what you need for aerial silks (Rescue 8 Swivel, 2 Modified D Caraibiners), also included, powdered rosin to improve grip. Super friendly and helpful, she answered all my questions via phone before I ordered. Article on trimming the width was extremely useful. Small upcharge was absolutely worth it to receive everything assembled. I love it and am grateful this business was here for me!